Francesca Luteraan has been serving the San Fernando and Conejo valleys for 13 years and recognizes that buying and selling a home are among the most significant decisions people will make in their lifetime. Luteraan is a seasoned real estate professional who is uniquely qualified to provide guidance and insight to buyers and sellers to help them make the right decisions. Her commitment to her clients sets her apart. She’s always looking out for their best interest and puts their needs first. Her knowledge and experience combined with her meticulous attention to detail and work ethic enable her to complete any transaction. 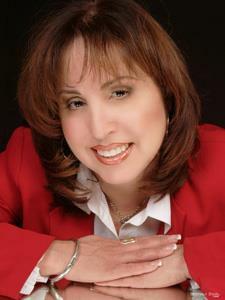 Her patient dedication to achieving superior customer and client satisfaction leads to results. She is passionate and steadfast in achieving a smooth and successful outcome for her clients. Working with buyers and sellers in all price ranges, Luteraan prides herself in getting clients their desired result by using the most current resources and communication systems available. For a complimentary consultation, call Luteraan of Rodeo Realty at (818)618-9368 or email Francesca@RodeoRE.com.